Includes Select Open Bar, Light Hor d'oeurves, Champagne Toast at MIdnight, Party Favors and of course, Philadelphia's Rockin Piano Show! Ticket sales ended at: 12/31/2018 at 10:00 PM $59.00 Ended 24! Includes everything with General Admission PLUS a reserved table all night. Reservations must be made in groups of 2 or more. 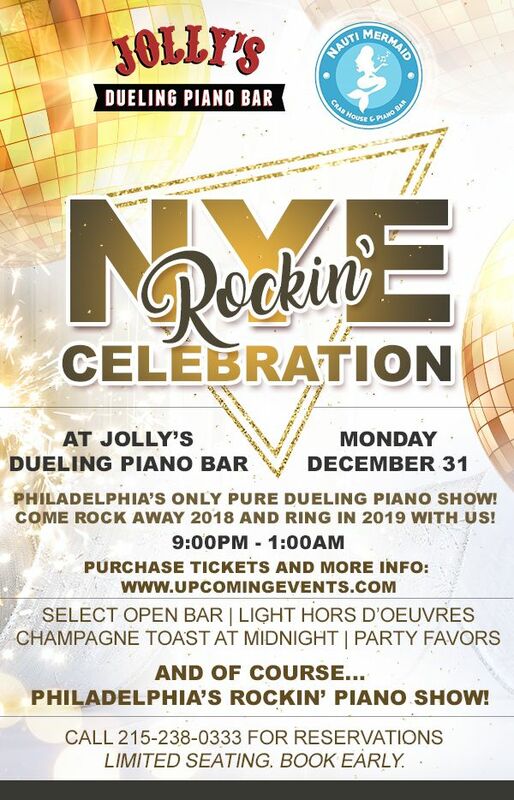 Join us for a Rockin' NYE Celebration at Jollys Dueling Piano Bar! Philadelphia's Only Pure Dueling Piano Show. 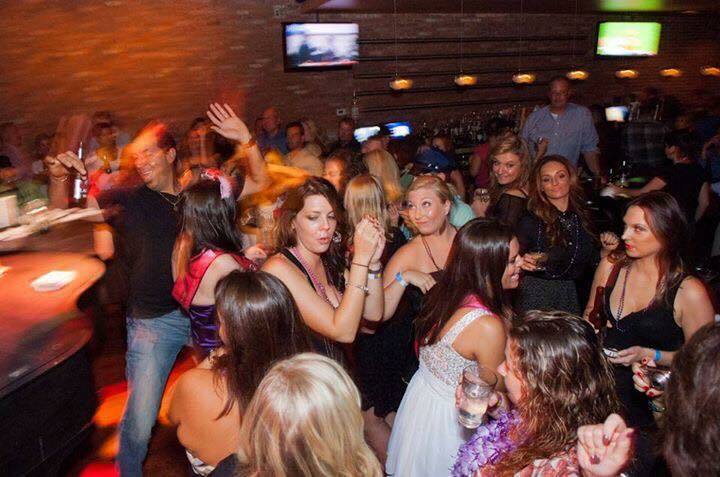 Come Rock away 2018 and ring in 2019 with us from 9pm-1am this New Year's Eve! Select Open Bar, Light Hor d'oeurves, Champagne Toast at Midnight, Party Favors and of course, Philadelphia's Rockin Piano Show. 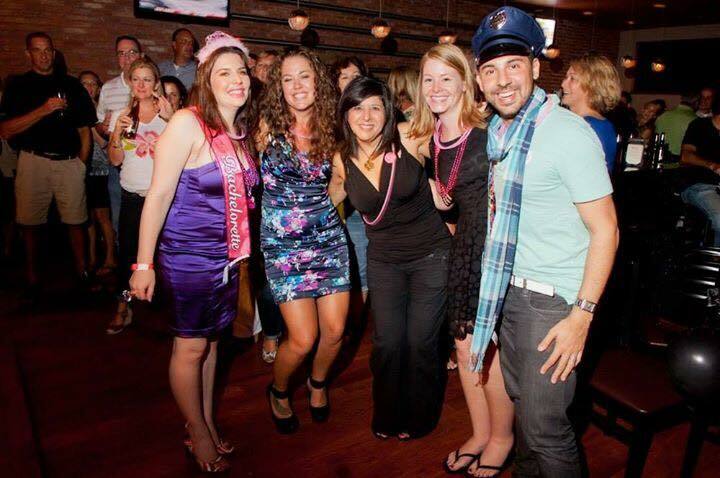 Grab your friends, and get ready for a great night at Jolly's! Limited Seating, so book early! 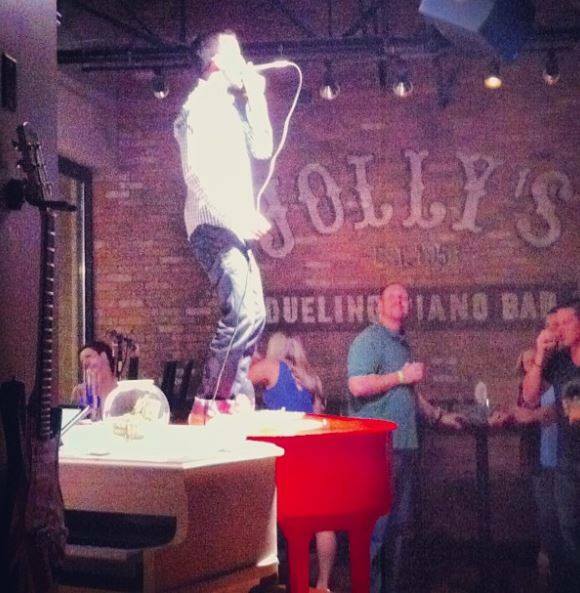 View More Events Organized by Jolly's Dueling Piano Bar. 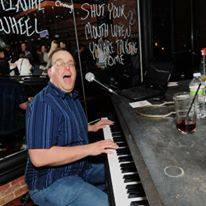 Jolly's Dueling Piano Bar is the only place in Philadelphia to experience the uniquely American phenomenon of Dueling Pianos, a concept Jolly Weldon brought to Philadelphia in 2008 with the opening of the original Jolly's. This is not your grandfather's piano bar. 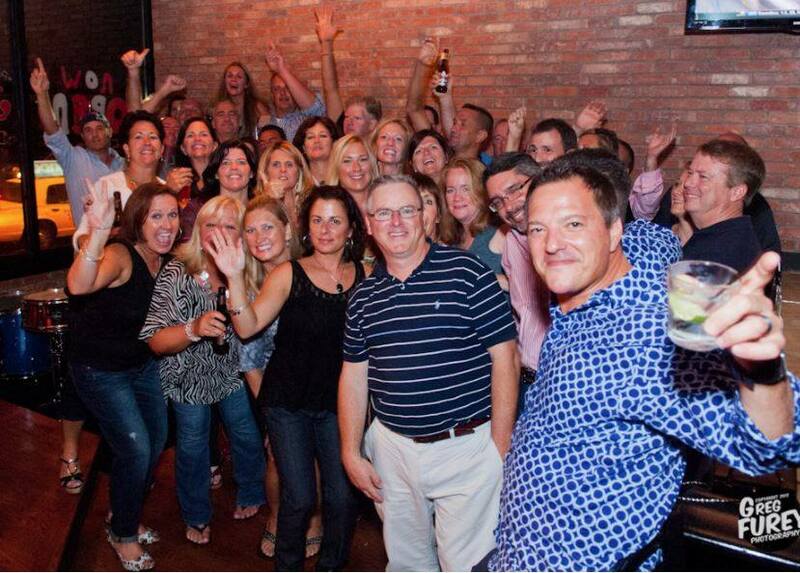 It's a rockin', rollin', sing-a-long, drink-a-long helluva good time. So come on down to Jolly's and eat, drink, and (dare we say it?) be jolly! This event is organized by Jolly's Dueling Piano Bar.